We got a brief look at next year's Nintendo Switch earlier this week, but there's still a lot we don't know about the console/handheld hybrid - like how it's going to work with games from Nintendo's older hardware. Japanese video game magazine Famitsu has managed to get a response of sorts on this: the Switch won't be backwards compatible with Wii U and 3DS titles, at least as far as physical media is concerned, Nintendo has said. That was pretty obvious from the teaser video as far as the Wii U discs go, but it clears up the issue with 3DS cartridges. What Nintendo wouldn't confirm was whether any digital backwards compatibility would be included for mobile titles downloaded online. If you want to play your older Wii U and 3DS titles then you're going to have to hang on to your older consoles folks. What's more, Nintendo told Famitsu that gamers would get two Joy-Con controllers, the left and right, in the box. 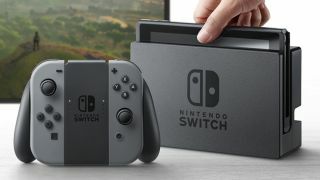 Nintendo let slip another small nugget of information about battery life, though it is very small - it confirmed that the Switch will let gamers "play as much as possible comfortably even without a power source" which sounds rather vague to us. We're still very much excited about what Nintendo has got in store with the Switch and all the missing details will be announced in due course. In the meantime, here's everything we know about the Switch so far.